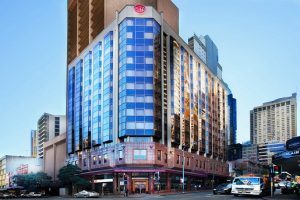 Explore Sydney with Metro Hotel Marlow Sydney Central. Includes 2 adult Opal travel cards, with a total value of $20 for travel on public buses, trains, ferries and light rail. With complimentary WiFi. Metro website exclusive – free drink voucher at Palace Hotel Sydney. 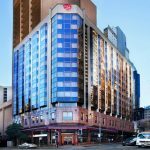 Save up to 25% on stays during December & January at Metro Aspire Hotel Sydney. The longer you stay, the more you’ll save. Save up to 25% on stays during December & January at Metro Apartments on King. The longer you stay, the more you’ll save. You’ll save up to 10% when you take advantage of this Early Bird Hot Deal at Metro Hotel Miranda. Relax and enjoy the sunset views from your private balcony with a glass of bubbly and gourmet cheese platter! Validity ongoing. Minimum 30 day advance purchase. Subject to availability.